The producer of a new film about Robert Mapplethorpe met the legendary American photographer in the swinging Manhattan clubs of the pre-AIDS era. Today she and her husband, a former Israeli, have an art collection in which Mapplethorpe is only a bit player. It wasn’t difficult for HBO, the American pay-television broadcaster, to persuade Katharina Otto-Bernstein to produce a documentary about the legendary photographer Robert Mapplethorpe. Otto-Bernstein, an art collector and a director of films about art, encountered Mapplethorpe (1946-1989) at social events in Manhattan back during the swinging 1980s, when she was a young film student at Columbia University. Already then he was quite well known, but he was hungry for more fame and money – “ambitious” was too small a word to describe him, by far. Otto-Bernstein had suffered all her life from the opposite problem: She was too well known and too rich. As the daughter of one of Germany’s wealthiest men, Werner Otto, founder of Otto GmbH, which eventually became the world’s largest mail-order company, she felt that no matter what she accomplished in her country, people would assume that opportunities came to her on a silver platter. As it was important for her to succeed on her own, she left Germany at an early age for a boarding school in England and afterward went on to New York, where she studied philosophy and film at Columbia. Otto-Bernstein, who declines to give her age (according to the internet, she was born in 1964), was born in Hamburg, the fifth and youngest child of Werner Otto and his third wife. Her father died five years ago, at the age of 102, by which time he had amassed a fortune of tens of billions of dollars. Katharine’s siblings continue to manage the family business, which has since expanded into retailing and real estate. But from her childhood, Otto-Bernstein, who is married to art dealer Nathan A. Bernstein had been drawn to the creative world, and New York suited her to a T.
“Mapplethorpe: Look at the Pictures” was directed by Fenton Bailey and Randy Barbato. It is now available for viewing on the satellite channel Yes Docu. The film shows how connections were forged rapidly during that fateful decade between the wealthiest class and creative artists. Mapplethorpe himself crossed the class divide in one swift leap – from street prostitution to flights to a private island in the Caribbean. Otto-Bernstein, who says she is interested above all in human stories and history, also sought those connections – only coming from the opposite direction. When the party ended, as it were, she started to work in television documentary production, and in short order found herself in another sort of party, no less riveting. She was sent to Berlin to work on a series about East and West Germany, and while she was there, in 1989, the Berlin Wall came tumbling down, leading her to stay somewhat longer than she’d planned. Her first full-length documentary, “Beautopia” (1998), was about the dark side of the modeling world. Then, when she met the avant-garde theater director Robert Wilson, when he showed up at a party at her home, she suggested doing a film about him. The result, “Absolute Wilson,” was only released in 2006. “At the time of the first interview with him, I was in my ninth month of pregnancy,” Otto-Bernstein explains. “And a year later I was pregnant again, so the film was made amid having babies and raising children, and in the course of trips all over the world, because he [Wilson] is a globetrotter.” She also wrote a biography of the same name of the theater director, with whom she says she remains close. The couple also has a classic Mapplethorpe self-portrait and another work of his, which Otto-Bernstein bought years ago and hung in her office. But the film notwithstanding, Mapplethorpe is definitely not the major figure on the walls of the couple’s homes (they have several). 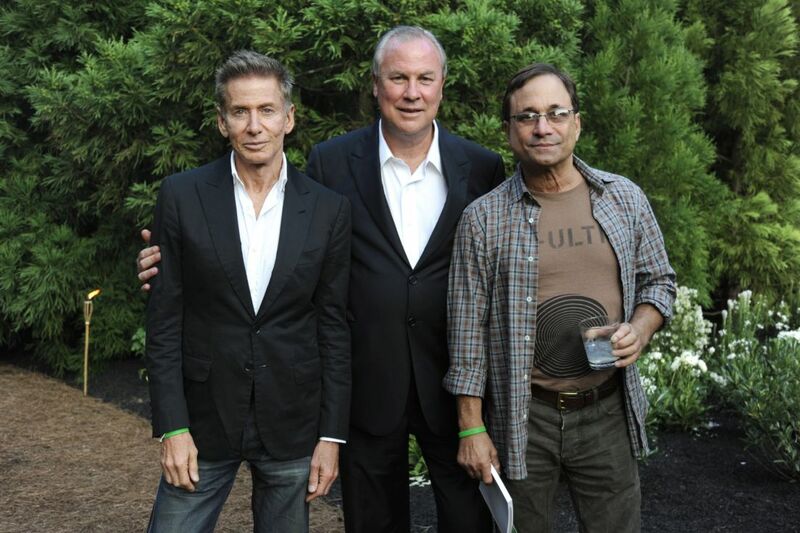 The two are avid collectors, whose holdings are rumored to be between $50 million and $100 million. Katharina Otto met Bernstein, an art dealer of Israeli origin who has now been living in New York for more than 40 years, some 18 years ago at a cocktail party in the Hamptons, the Long Island resort area. A divorced father of two, he was considered a highly eligible single man not only in America, but also in Europe and Israel. They became engaged within two weeks and were married three months later. Their two sons, aged 17 and 16, attend boarding schools in Massachusetts. When husband and wife are interviewed together they can be a mutual admiration society, but fur also can fly. For example, when each relates how they met the other’s parents. The encounters took place in Germany and Israel, shortly after they met. “Her parents were very easy compared to my mother,” recalls Bernstein, whose father was already dead by then. Was that because Katharina is German? Of the two, she is more judicious in her speech, and it’s important for her to talk primarily about her professional work: documentary cinema. He doesn’t mind showing off a little, all in a good spirit. “We are the power couple of the New York art world,” he declares, laughing. But he also backs up the assertion with a few magazines, one of them with a list of the 212 couples without whose presence social events in New York (area code 212) are sad and insipid. Bernstein, too, is from a privileged family, in Israeli terms. He was born in Haifa 60-something years ago (he too prefers to be coy about his age), attended the city’s prestigious Reali school and was expelled, but after a few years in agricultural and army boarding schools was allowed to return, not least because of his family connections. On one side, his maternal grandfather, Shlomo Nathanson, was director general of the Anglo-Palestine Bank, the forerunner of today’s giant Bank Leumi. He is also a scion of the family of Shimon Friedman, one of the oldest in the Yishuv (pre-state Jewish community of Palestine) and the founder of one of its first vineyards. 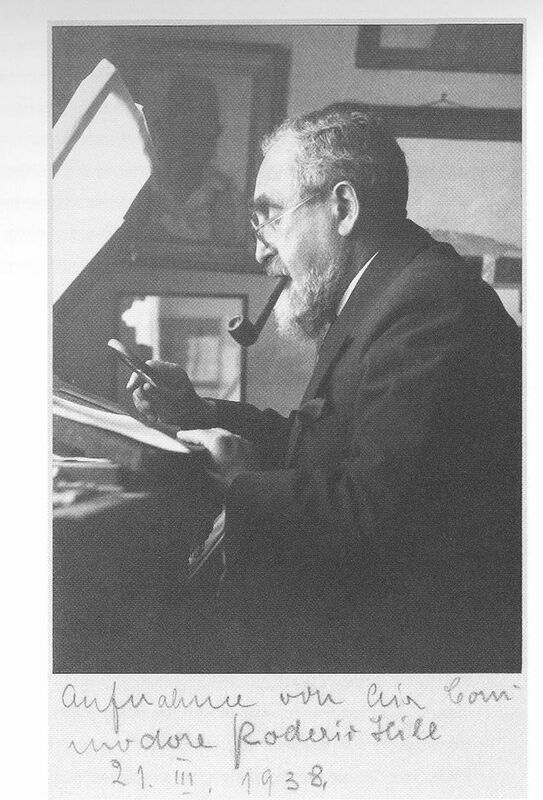 His father, Eliahu Bernstein, was in the insurance and customs-agency business, and also liked to collect art. “My father always bought art, both Israeli and Jewish, and especially of the Paris School, which was very much in fashion in the 1960s and 1970s,” he relates. “It was a respectable middle-upper class collection, relative to Israel. But it wasn’t comparable to the collections of Sami Ofer or Efraim Ilin, two other Haifa residents, who made their fortunes abroad. Ilin was friends with my parents; we lived next to his family and I was a friend of one of his sons. I was very impressed by Ilin’s collection. When he died [in 2011] I wrote a condolence letter to his sons in which I mentioned that one of the main reasons I became an art dealer was the works I saw in their parents’ home. That was an opening. Struck taught at the Bezalel art school in Jerusalem and was also on the board of directors of the Tel Aviv Museum of Art, which was then still located in Dizengoff House (the home of Meir Dizengoff, the city’s first mayor). Struck died in 1944, not long after taking part in the wedding celebration of Bernstein’s parents and giving them a work of his, an etching of Venice, as a present. In 2013, Nathan Bernstein donated the funds and artwork for the establishment of the Hermann Struck Museum in Haifa, which displays the works of a range of artists. He is now a member of the board of the Haifa Museums company and is also on the boards of the Tel Aviv Museum of Art and the Israel Museum in Jerusalem. After moving to the United States, Bernstein continued to deal in art; he has a gallery on Manhattan’s East 65th Street. He visits Israel three times a year, maintaining what he calls a “bachelor apartment” on Pinkas Street in north Tel Aviv, where aquarelles by Joseph Zaritsky, a painting by Moshe Kupferman and of course etchings by Struck adorn the walls. But that is negligible compared to the artwork that fills the three-story family New York townhouse, located a few blocks north of Bernstein’s gallery. A visitor entering the elegant home is dizzied by the ubiquitous art: It turns out that between Struck and Mapplethorpe lies a whole ocean of possibilities. Before we continue the interview, Nathan gives me a guided tour. The couple’s collection is rich, diverse and moving – especially for aficionados of modern art. On the ground floor is a sculpture by Antony Gormley. A large glass cube by Anish Kapoor stands at the center of a covered patio, and on the walls are two matching mosaic-like works by Damien Hirst made from thousands of insects and butterflies set against a black background. The couple commissioned the works from Hirst, to suit the scale of the wall. The second-floor library contains an 1893 oil by Edvard Munch, a painting by Max Beckmann, and four (out of 14) paintings from the “Turned Sheets” series by German artist Gerhard Richter. Otto-Bernstein adds that it would be nice if one day the whole series was in their possession. The large living room displays the “little” that Katharina brought from her home, including a landscape painting of simultaneously bold and gloomy colors by the German-Danish Expressionist Emil Nolde. A portrait of her father done by Andy Warhol hangs above the fireplace. A pair of Gormley sculptures placed next to the window have been dubbed “Nathan and Katharina” by the couple. But perhaps the most important part of the couple’s collection these days is that devoted to contemporary Chinese art – reflecting the new, hot trend in the market. Otto-Bernstein says she was always attracted to China, so it’s not surprising that she was also drawn to Chinese art when it began to crop up in the major Western galleries and at fairs. After purchasing the Wang Ziwei work, they began to take an interest in which other Chinese artists to acquire – and not a moment too soon, in terms of the prices. “We were able to obtain them in time, we acquired them very early,” Bernstein says. 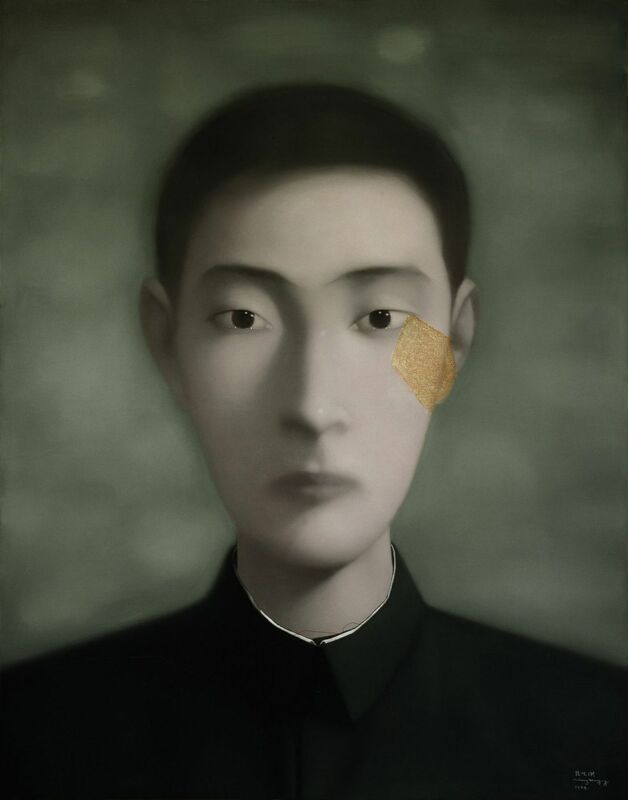 An artist whom Katharina is particularly fond of, and whose large and somewhat unsettling paintings are also on display in the New York townhouse, is Zhang Xiaogang, who does huge portraits of children in black and white with a small red stain or a depiction of red thread somewhere in the painting. The two are at pains to emphasize that they do not collect as a financial investment but are impelled by love of art and by the intention of displaying all their numerous works in their homes. When one home is full, they move works to another. Some works are in storage. Is there any chance that this artistic richness will one day finds its way to a museum in Israel?